As a professional carpet cleaner in Tampa FL I get asked a lot of questions about carpet and upholstery on a daily basis. The question I get asked the most is "Does carpet protectant really do anything?" I must get asked this at least twice a day. The answer is simple. Yes, it really works. I know I'm a carpet cleaner so I could just be serving my own interests here but when I clean my own carpets at home I always add a protective layer to insure that the carpet stays clean for as long as possible with no staining. But, the better answer is that the carpet manufacturers recommend getting your carpet protected when having them cleaned. If the companies that manufacture carpet think it's a good idea to protect your carpet then that's what I recommend. Let me step back and introduce carpet protectant and what it does. When carpet is made at a carpet mill it goes through a coloring process to create the hue of the carpet. Once color is applied the dies sites on the carpet fiber need to be sealed off so the color stays put. This is done with a fluorocarbon chemical that seals and protects the fiber. Most carpet protectants are fluorocarbon based and very similar to the ones used in the carpet manufacturing. When a carpet cleaner applies a protectant to a carpet during a cleaning they are restoring the protective barrier on the carpet fibers. It's not an improvement over the original fluorocarbon but it does reset the carpet fiber back to like new condition. I recommend adding protectant during your next professional carpet cleaning. 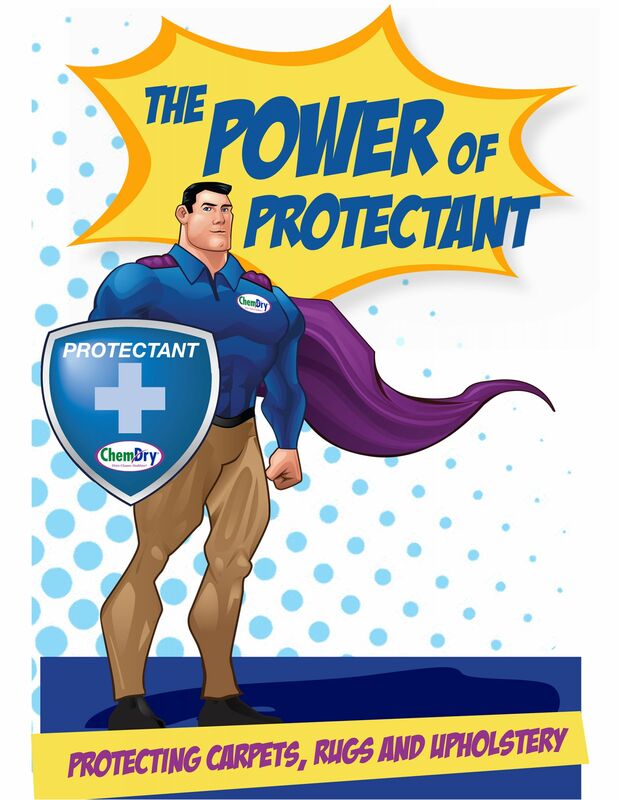 For carpet protectant in Tampa FL call Chem-Dry of Tampa.